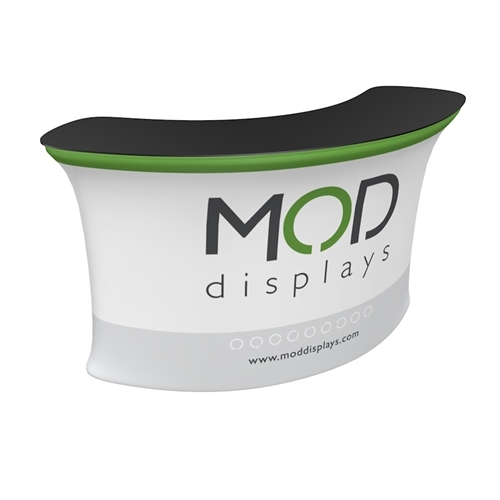 The Waveline 10ft Flat Info Desk is a lightweight tubular framing counter with tension fabric graphics. Featuring a back zipper for optional shelving access and ships with a soft nylon carry bag. 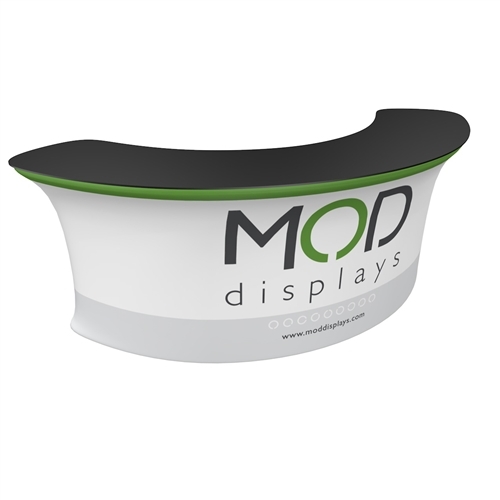 Curved-profile, lightweight tubular framing counter with tension fabric graphics. 105”w x 39.4”h x 43”d. Featuring a back zipper for optional shelving access and ships with a soft nylon carry bag. 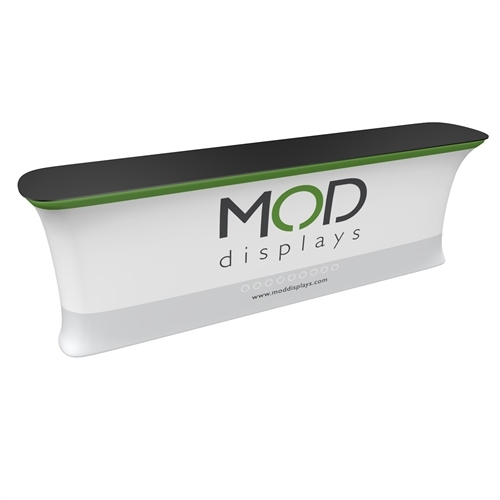 The Waveline 8ft Flat Info Desk is a lightweight tubular framing counter with tension fabric graphics. Featuring a back zipper for optional shelving access and ships with a soft nylon carry bag. 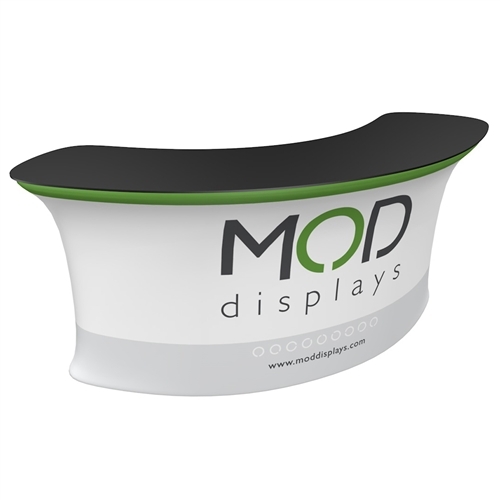 Curved-profile, lightweight tubular framing counter with tension fabric graphics. 89”w x 39.4”h x 34”d. Featuring a back zipper for optional shelving access and ships with a soft nylon carry bag. 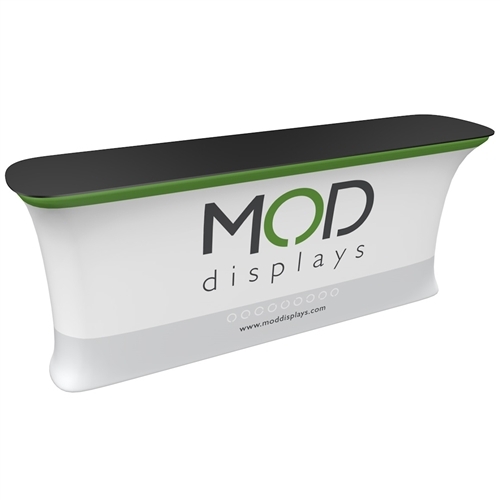 The Waveline 6ft Flat Info Desk is a lightweight tubular framing counter with tension fabric graphics. Featuring a back zipper for optional shelving access and ships with a soft nylon carry bag. 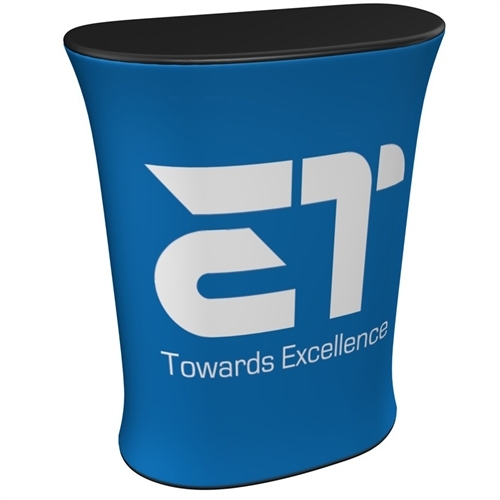 Lightweight tubular framing counter with tension fabric graphics. Featuring a back zipper for optional shelving access and ships with a soft nylon carry bag. 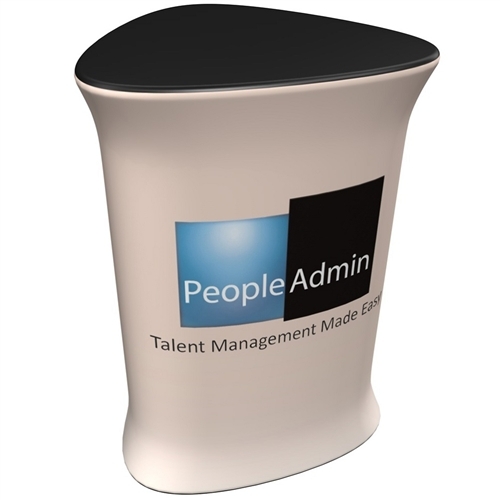 Portable counter featuring tension fabric graphics perfect for lightweight products, brochures and literature. Features a back zipper for inside access. Ships with a soft molded case. 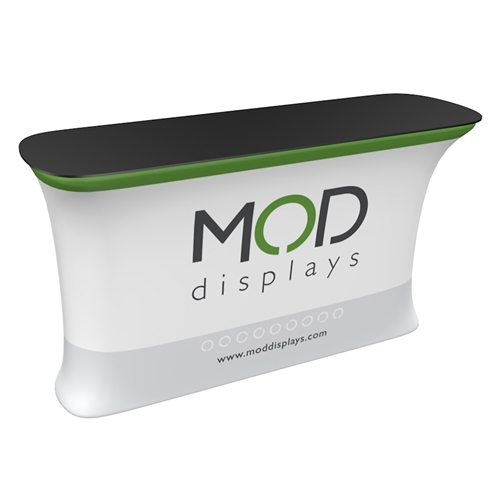 Portable counter featuring tension fabric graphics perfect for lightweight products, brochures and literature. Ships with a soft molded case.